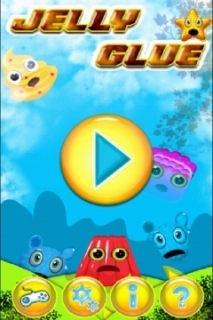 Jelly Glue is a very addictive connect lines puzzle game ! Connect colorful lines of Jelly to solve compelling levels in this puzzle adventure. Tired of playing with candy or beans ? Maybe you like more to cut rope or shoot birds..
if you want to continue to build clans,you are free to do so ! Are you addicted to these game ? Really ? Guy! there is no game in the entire market addictive like this ! horizontally,vertically or diagonally to clear them. The goal is to rack up as many points as you can in given move or time. 1. Colorful and vivid Jelly. 2. Easy to learn,hard to master. 3. Never stop playing - 90 hyper-addictive levels. 4. Play at your pace. 6. Play happy-the super-cute Jellys will brighten up your day. 8. Earn extra time with bigger loops ! 9. Bonuses for long jelly sequences ! 11. Tasty graphics that will leave you hungry for more. 12. Easy and fun to play,but challange to fully master. Speedy Gold Miner : R..